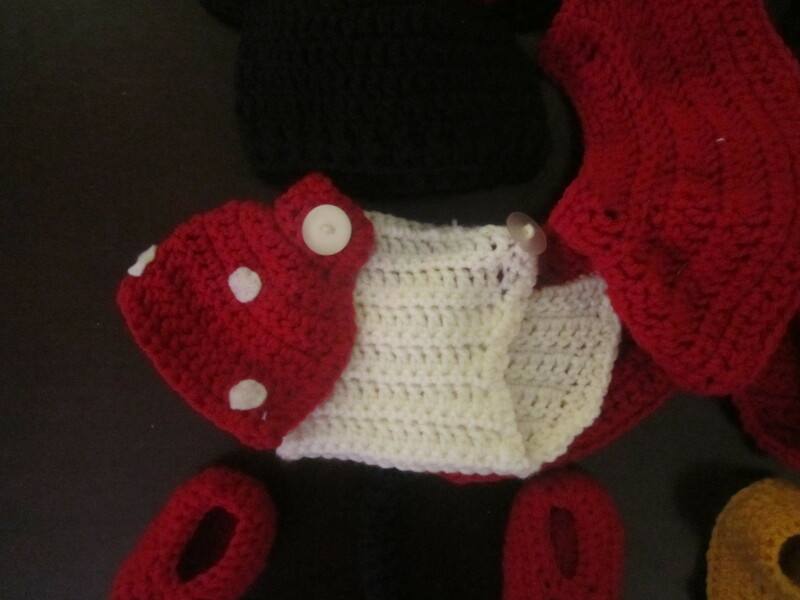 My first time making baby clothes wasn't for my own children, but it was fairly recently that I was asked to crochet a Mickey and Minnie outfit for newborns. When doing commissions, I will almost never say no, even if I never did it before. Why? Because I know that if you understand the basics of crocheting and are comfortable with them, there is absolutely nothing you can't do. I also love to work on new projects and expand my skills. So, even though I had never done baby clothes before, I happily took on the commission. Working on these Disney baby outfits was such a joy. I had so much fun! And since I am currently pregnant with my second, I'm excited to put this new skill to good use for him. 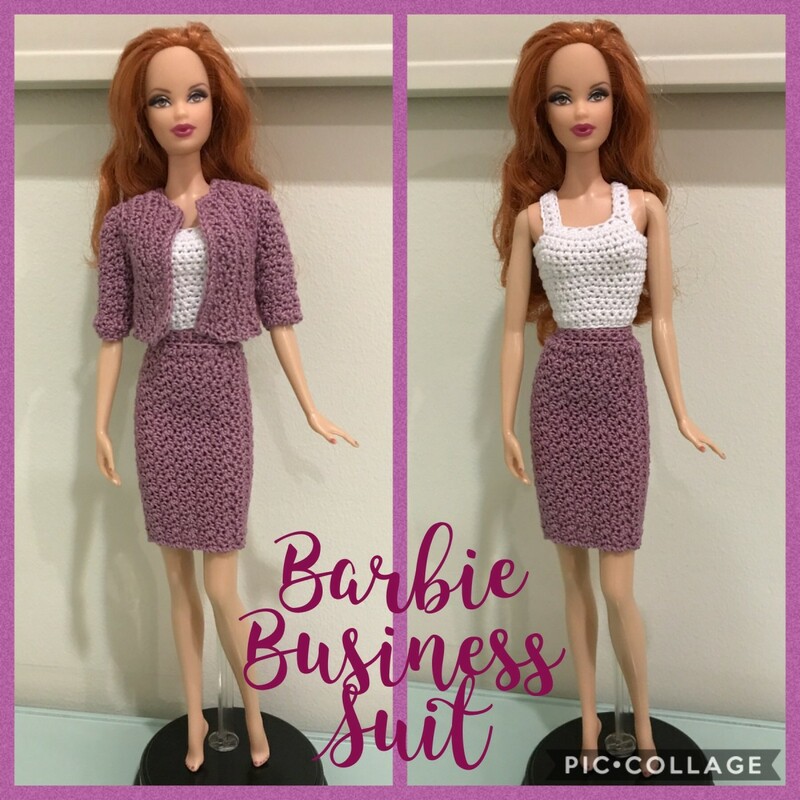 I also thought it would be a great opportunity to share what I've learned to new or experienced crocheters that are intimidated by taking on a project like this. You can do it! I'll show you how. 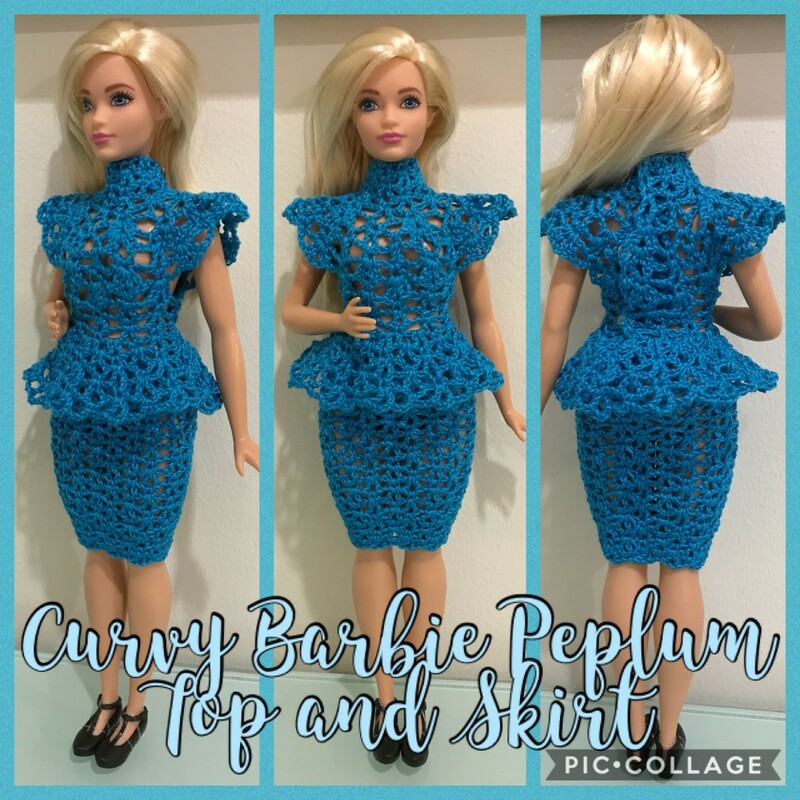 Not only will I show you the basics, but I will also give you tips on how you can customize these outfits to create adorable costumes and characters. Let's start with the simplest part of the outfit, the baby bootie. Now, there are a lot of free baby bootie patterns out there—all you need to do is a Google or Pinterest search for them. Most patterns I found were very dated, grandma-style baby booties. Some were really neat patterns that look like real shoes, sandals, and slippers. 1. Hdc in 2nd chain from hook and and next 8, 3 hdc in last, (working in backside of chains), hdc in next 8, 2 hdc in last, sl st to 1st hdc. 2. Ch 2, hdc in same stitch as joining, hdc in next 8, 2 hdc in next 3, hdc in next 8, 2 hdc in next 2, sl st to ch-2 space. 3. Ch 2, hdc in same, 2 hdc in next, hdc in next 8, 2 hdc in next 7, hdc in next 10, 2 hdc in next 2, sl st to ch-2 space. 4. (back loops only) Ch 2, hdc in each stitch around, sl st to ch-2 space. 5. Ch 1, hdc in next 9, hdc-2-tog, dc-2-tog twice, dc in next, dc-3-tog, dc in next, dc-2-tog 2 times, hdc-2-tog, hdc around, sl st to first hdc. 6. Ch 1, hdc in same and next 8, hdc-2-tog, dc-2-tog, dc-3-tog, dc-2-tog, hdc-2-tog, hdc around, sl st to first hdc. 7. Ch 1, sc in same and next 6, sc-2-tog, dc-2-tog 3 times, sc-2-tog, sc around, sl st to first sc. 8. Ch 1, sc in same and each stitch around, sl st to first sc. For the Minnie Mouse Booties I stopped there, but for the Mickey Mouse Booties, I repeated round 8 until I got the booties to a height I wanted. You could further customize them by adding straps, frill, shoelaces, or the bow Jay includes in her pattern. Start with a sketch of my design. You don't have to be an artist to make a sketch. As long as you know what you're looking at it doesn't matter what it looks like to anyone else. 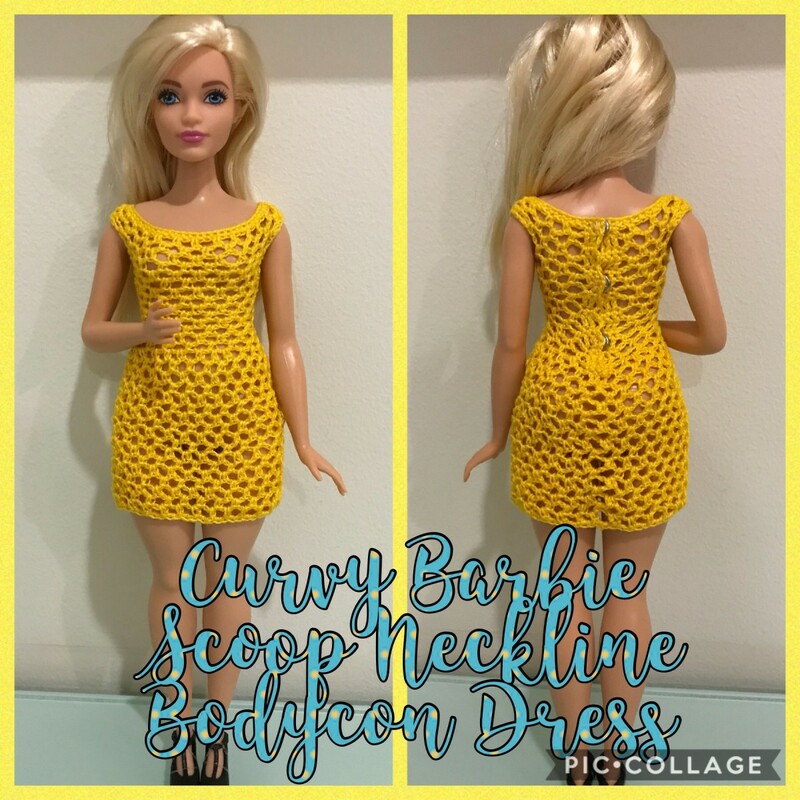 If you are creating something based off of something else (like a designer shoe or a cartoon character, or someone else's crochet design), have plenty of reference images for that. Try to draw as many views and angles of your design as you can to get a 3-dimensional understanding of what you'd like the finished product to look like. Next, crochet the foundation of your piece. This should be the simplest part. If you don't know how to crochet booties, find a simple pattern that would work well with your design. Now here's the fun part. Figure out how to add the extra features to the foundation. This will probably take a lot of trial and error, so be sure to take notes as you go along so you can repeat the process for the other boot. The design of a basic crochet beanie, whether for an adult or baby doesn't really change much. It may actually be even simpler than the booties. However, since it's a bit larger, it may be more time consuming, depending on the level of detail you'd like to add to your hat. 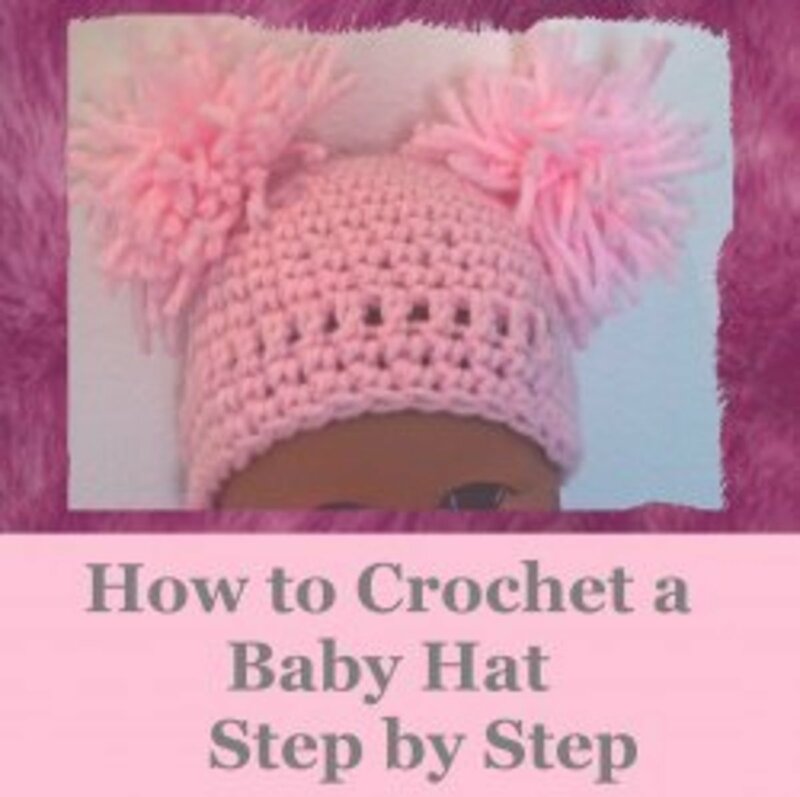 To crochet a hat for a baby, all you need to do is work in rounds and gradually increase until you've reached a width that will fit. I admit I don't usually pay attention to numbers and will use my son's head as a tool for measurement or one of his smaller baby hats if it's for a younger baby. 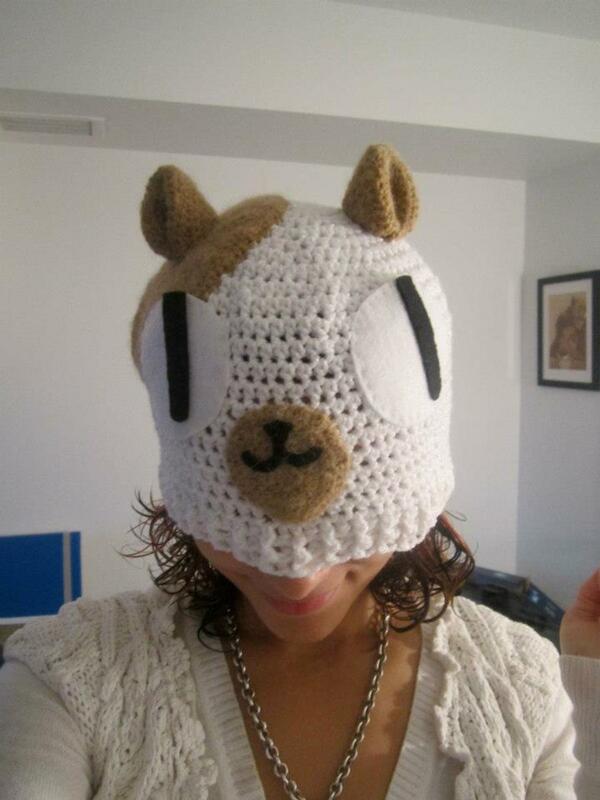 This is pretty much how I go about crocheting my adult sized hats too. 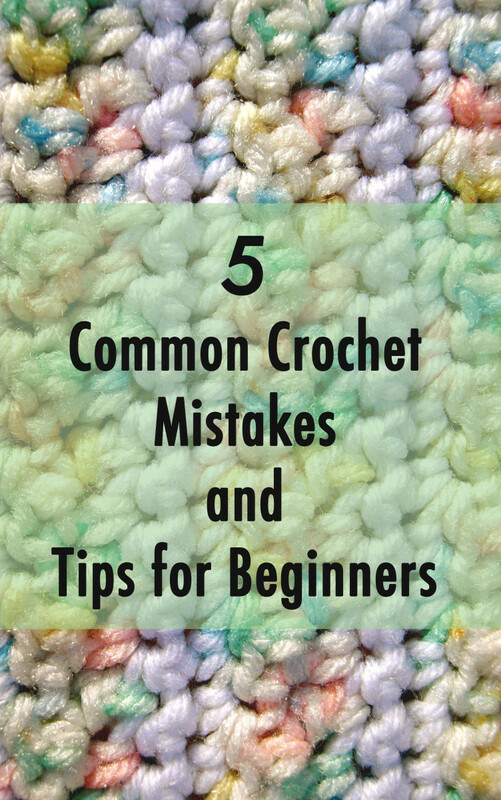 I'm just really not a pattern person, and I hate counting, haha....but for those of you who benefit more from patterns and numbers, here are some videos that should help you with crocheting a basic baby beanie. To finish off the hat, I like to alternate front post double crochet with back post double crochet to create an almost knitted look. Or I keep it really simple and backwards single crochet or crab stitch. You could add earflaps, pom poms, brims, tassels, or whatever else you like to these basic beanies. 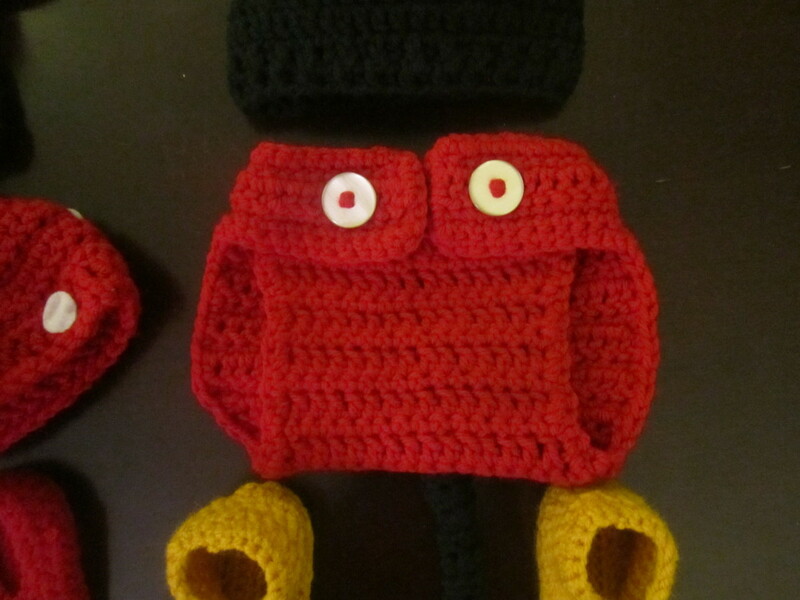 Customizing a hat works much the same as you would go about customizing baby booties. First sketch out a design of what you want you finished hat to look like, or have a clear reference image to use. Once you have your sketches, crochet your foundation. Then figure out how you would like to add the details. 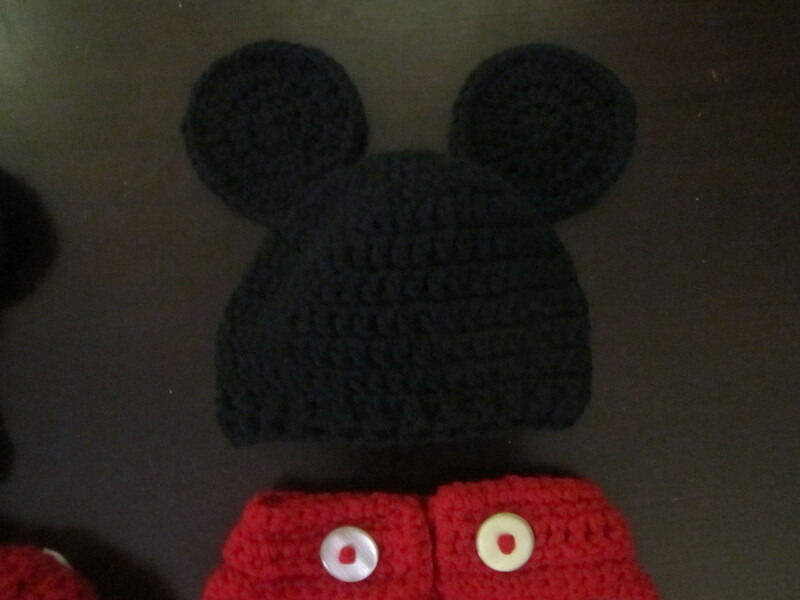 For the Mickey and Minnie hats, I made all I needed was a picture of the cartoon characters. In their case, the details were pretty simple. I crocheted two circles and attached them to the hats for ears. 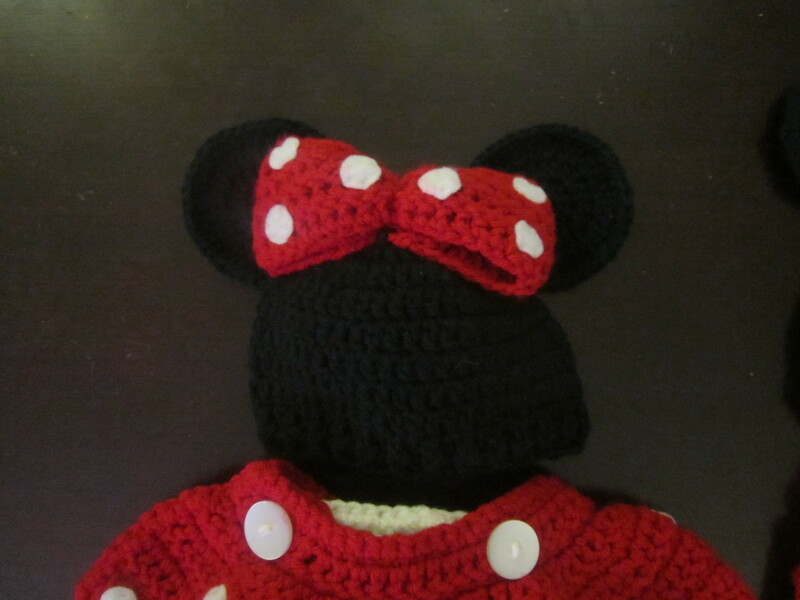 Then for Minnie's hat, I had to add a bow. 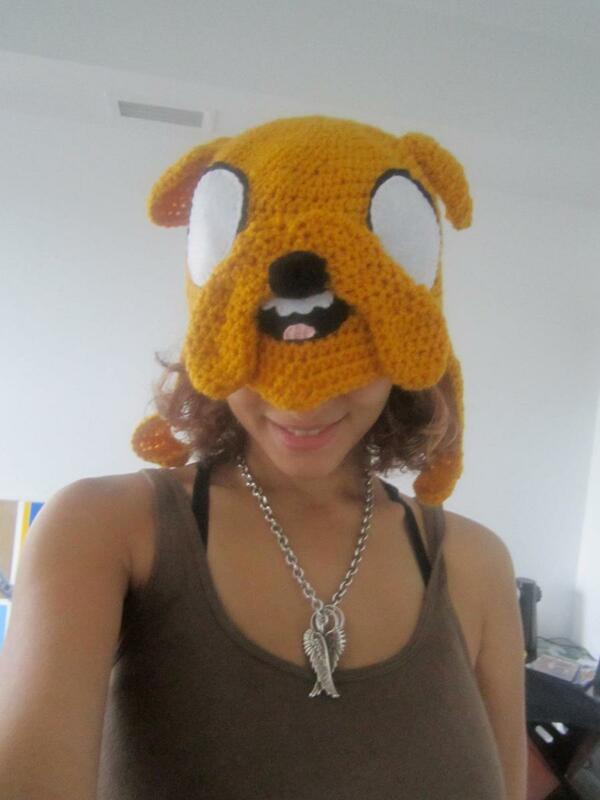 In the past, I have done more complicated character hats, like Cake and Jake from Adventure Time. In cases where there are a lot of small, fine details, I prefer to sew felt fabric details on to the hats rather than embroider or crochet features. I also know that some people like to airbrush details, such as rosy cheeks, or added beaded details. Take a look at other artists' work to get inspiration and ideas for what you can accomplish. While searching for diaper cover patterns to learn from I came across Repeat Crafter Me's post on making a Mickey and Minnie diaper cover. Her Mickey Mouse Pattern worked perfectly and was exactly what I was looking for. I would strongly suggest following her notes to make a nice basic two button Diaper Cover. The only change I made was instead of doing a row of triple crochet stitches for the button holes I did two rows of double crochet because triple stitches would have been too big for the buttons I was using the diaper cover. To make things a little easier on you here's Flowers Creations' single button diaper cover pattern with Repeat Crafter Me's notes and with my alterations as well. Please visit both sources to see the original pattern. When it came to Repeat Crafter Me's Minnie Mouse Skirt I really wasn't in love with the design. I also had a very difficult time looking for a skirted diaper cover pattern that I liked. 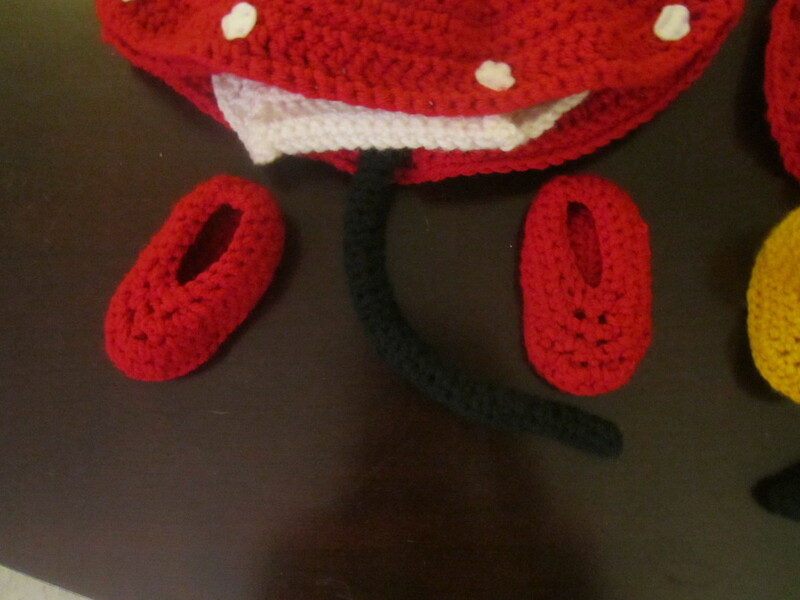 I loved how the Mickey Mouse diaper cover was adjustable, so I wanted the Minnie Mouse Skirt to be adjustable, too. However, most of the skirt patterns I came across that I liked just elastic bands and not buttons. So, I decided to just adjust the Mickey Mouse pattern to incorporate the skirt. It ended up being a lot easier than I thought it would be. 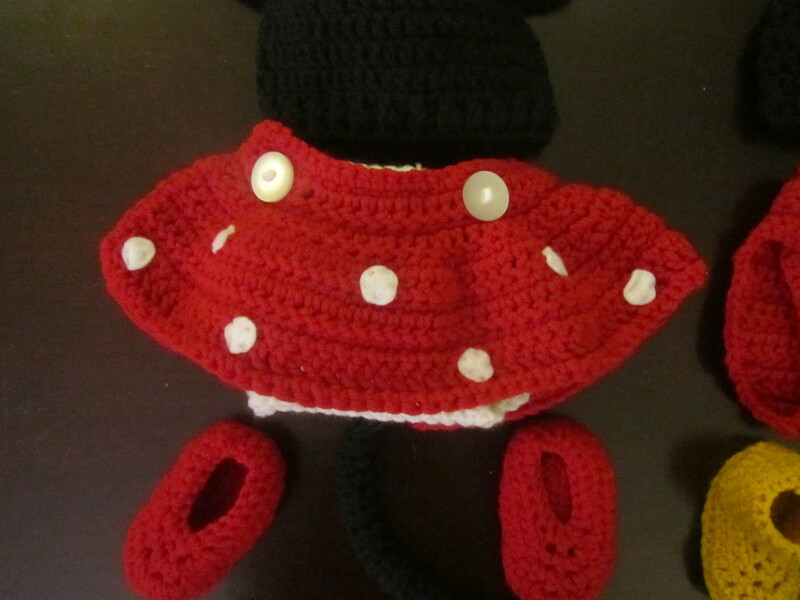 I followed Repeat Crafter's Me instructions for the Mickey Mouse Diaper Cover (posted above) until I completed the single stitches in Row 4, then instead of fastening off, I created the skirt. Row 6 of Skirt: sc across, fasten off and weave in ends. After I completed the skirt, I returned to Repeat Crafter Me's instructions, but instead of counting 11 stitches in before making the diaper portion, I only counted six. This is because I didn't want the skirt to close in the middle of the diaper cover, I wanted it to close to the side. 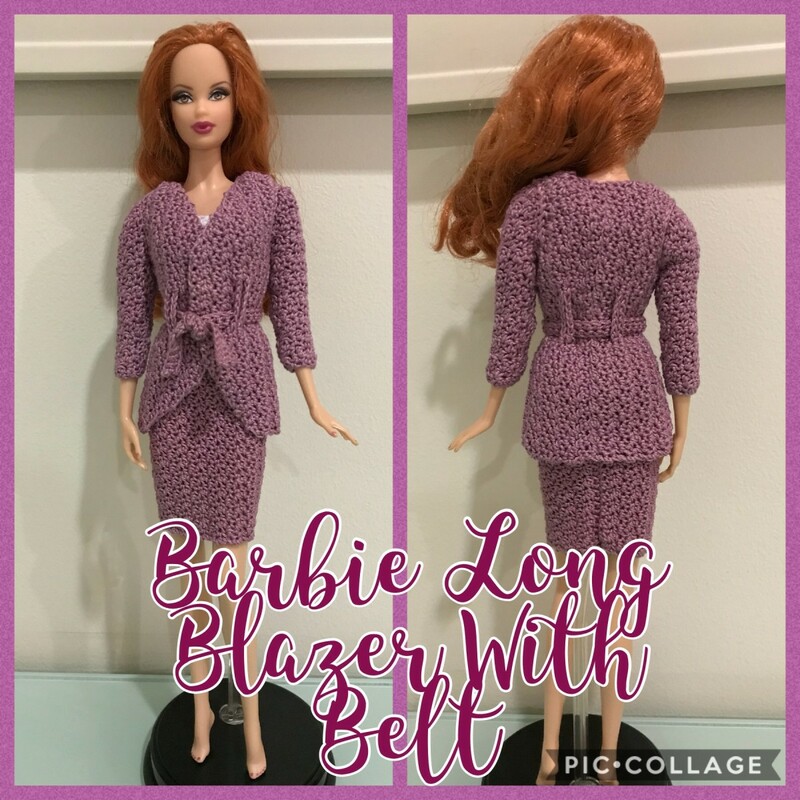 I then continued to use Flowers Creations' pattern where I left off, starting with the front loops I left free when I added the skirt portion. I changed the colour from red to white though, for Minnie Mouse's bloomers. For the polka dots, I sewed on felt cutouts. Customizing a diaper cover to suit a costume or look could be as easy as picking the right colour and adding a small feature, like the chained black cord I made and attached for Mickey's tail. Or it could require more thought and experimentation, like Minnie's skirt. Like with the other projects, always start with a reference image or sketch if customizing is going to require more than just picking the right colour. For my wolf, at first I wanted to do an amigurumi style tail and make it 3-dimensional, but then I thought about functionality. I think this is really important to keep in mind, especially when creating clothing pieces. Something might look nice, but be very uncomfortable and cumbersome. Some adults are willing to deal with a little discomfort for the sake of fashion, but babies aren't ever willing to put up with any discomfort—nor do I think anyone should subject them to it just for the sake of cuteness. When I make my diaper cover for my baby's wolf outfit, I am going to make a flat scarf like tail so he won't even notice it's there. So in short, when customizing your diaper covers keep three things in mind; design, effectiveness (how much it captured the look you're going for), and functionality. I noticed a mistake in the diaper cover instructions. Rather than repeating rows 15 & 16 for rows 18-21, you should repeat rows 16&17. Otherwise, the stitch count will be off. Hiking love your pattern but what needle size do you use??? Great hub. You must have done alot of research for this. Keep it going. Do you mean the diaper portion? You may have to experiment a bit by using a diaper or diaper cover that fits the child as a reference. I'm sorry. This Hub really needs to be updated, but unfortunately I haven't had the time due to a new job and moving. As soon as I'm settled I will return to this and add more detailed instructions. You're not the first person to say this! I'm so sorry. This was written before I really knew how to read and write patterns, so at some point (hopefully really soon!) I will update this with clearer instructions and images! Hi Mrs Bryan! It's been awhile since I wrote this but my go to needles are 4.75 and 5mm. I believe I used the 5mm for this project and the yarn was sports weight. Hi there! Thanks for a great reference! I'm wondering what size hook you used... Did you use sport weight yarn? Just curious. I know all can be adjusted, but just wondering where you started with this. I think that these crotchet baby outfits are really pretty and unique indeed. thanks for this hub. voted up. Thank you! I haven't had time to make anything new because I just started a new job, but I've been itching to crochet so hopefully I can do more soon. I haven't the slightest idea why I thought it was okay to write this in such a confusing way. For the diaper cover, the pattern can be adjusted to fit any baby. I would suggest using a diaper as a reference. Also, the straps can be made longer so that it buttons at a bigger size. 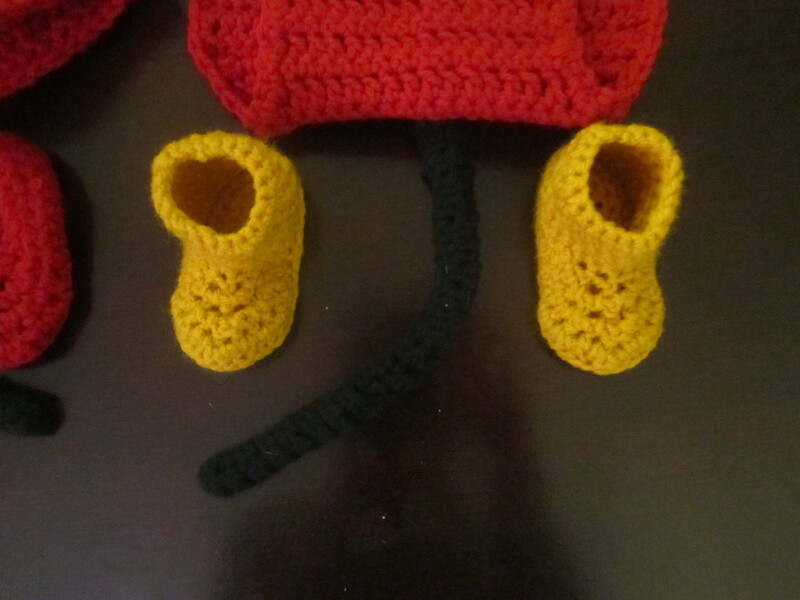 The booties will probably be too small, but if you make the hat just a bit bigger it should help. This Hub is more of a guide on the process of making crochet baby clothes then a strict pattern, so there is a lot of room for experimentation. I'm sure you'll be able to adjust it to suit your needs. I started crocheting the skirt directly on the strap part of the diaper cover. I left about a half inch flap before I started though. It actually doesn't matter all that much. I guess Im a little slow but where did you start the skirt at on the diaper cover or how? I shared the link with my crochet group and pinned it. I know they'll like this. Hello, do you sell these sets? I'd love the minnie set but with the mickey mouse shoes instead. Glad you like it! And if your niece is interested in doing this but is a little intimidated encourage her to give it a try anyway. 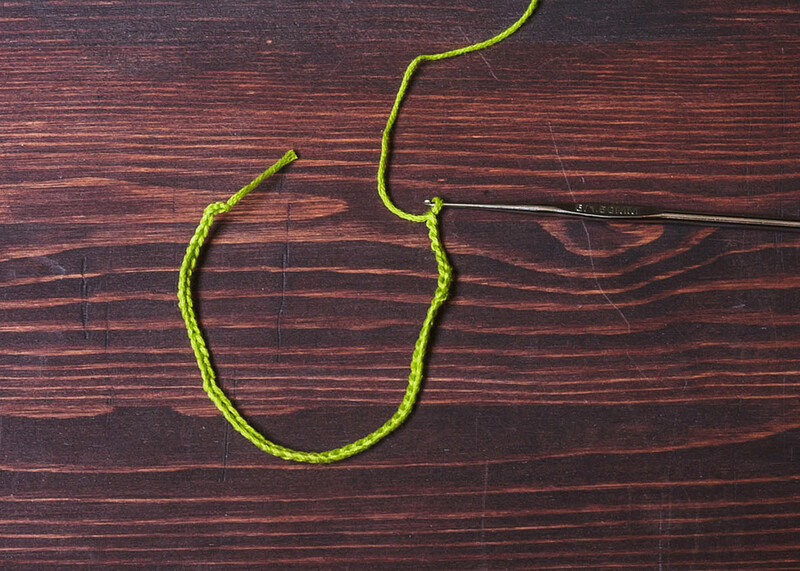 Once you're comfortable with crocheting basics stuff like this is a lot simpler than it may seem. Cute clothes! Will be sharing it on fb, as I have a niece just learning to crochet. She will want to see this! : ) Thanks for sharing it. Voted up and useful. These are amazing. I am ready to throw down my crocheting...lol. I took up making different designs when I found out my cousin and daughter were having babies. Since then I have been trying out different patterns. These look like they would be simple and fun. Thanks for posting them! Absolutely . . . you are the Queen of Crochet! Keep me in mind if you'd like to commission. :) Congrats on being an Auntie! This is awesome! 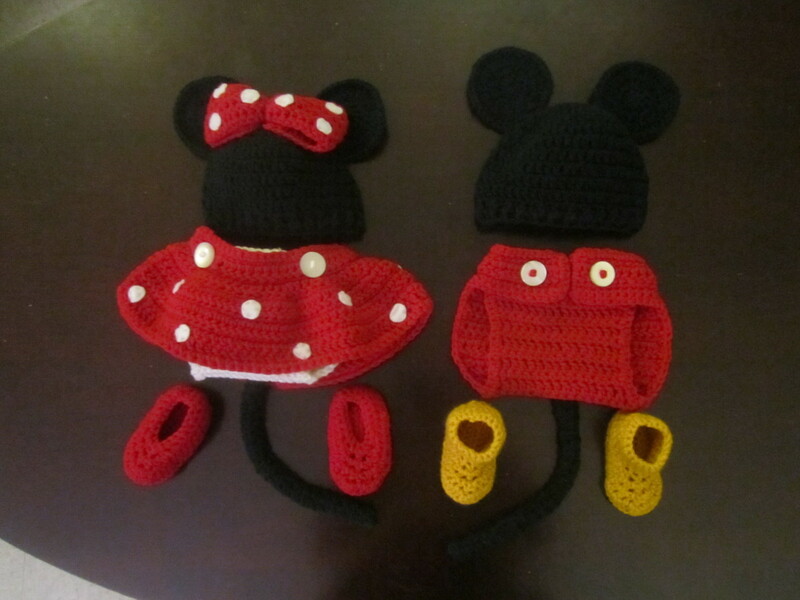 Love these Minnie and Mickey baby clothes you made. I will be an Auntie next month, my brother and his wife have their second baby on the way and what a lovely gift this would make for the new arrival!! I may have to get a commission done as I have not crocheted in years. Well done, great work and creativity you have shown! Vu, Useful, Interesting, Awesome, Shared and Pinned! !